Bryan Voltaggio is obsessed with pepperoni, so much so that the Top Chef alum has invented a new condiment we want to put on everything: pepperoni breadcrumbs. 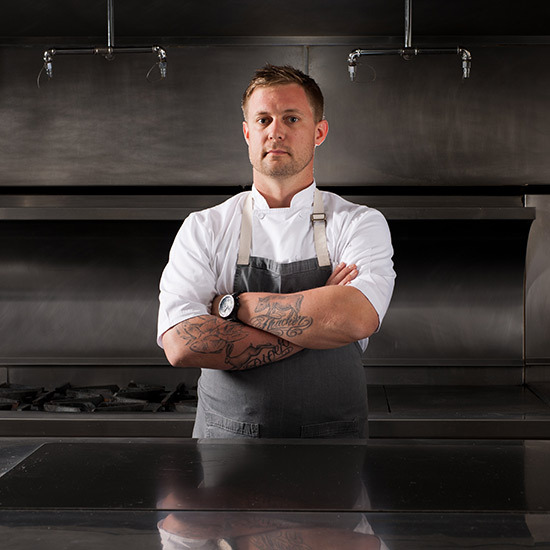 Bryan Voltaggio is obsessed with pepperoni, and not on pizza. “It’s a pantry staple for me,” says the Top Chef alum and author of the forthcoming cookbook Home, all about his at-home cooking for his wife and three kids. In the book, he lists awesome new ways to use the spicy, smoky, salty meat—ground up to accent hamburger patties (“I really love bacon cheeseburgers, but a burger with pepperoni ground into it is even better”), sliced thinly to add into hash browns, minced into meaty Bolognese sauce for pasta. “It’s a really good seasoning agent,” he says. “You can get a lot of flavor and smokiness but it doesn’t overpower other meat.” And he’s invented a genius new condiment that we want to put on everything: pepperoni breadcrumbs. Mince or grind pepperoni and cook in a skillet over medium heat until the fat begins to come out. Brown the meat slightly and remove it from the pan. Add panko breadcrumbs to the fat and toss to coat until slightly toasted. Mix with browned meat and remove from heat. Use it to top pasta dishes like spaghetti Bolognese, casseroles (tuna casserole!) or crab dip.